Three of the state's highest ranking officials are asking for renewed dialogue from stakeholders regarding the shuttered WestRock mill in Newberg, with the hope to eventually reopen the Wynooski Road facility. In an Oct. 2 letter to WestRock's CEO Steven Voorhees, Gov. Kate Brown and U.S. Reps. Suzanne Bonamici and Earl Blumenauer, all Democrats, expressed continued concerns about the mill, which closed in 2016 after Georgia-based WestRock acquired it from SP Fiber Tech. The company intended to sell the mill and at one time had inked an $8.25 million contract to sell it to an Idaho scrap company on the condition the paper-making machinery inside was destroyed. This alleged condition prompted Sen. Ron Wyden to write a letter to the U.S. Department of Justice and the Federal Trade Commission about the potential illegal action. WestRock also allegedly turned down a $15 million offer from an Indian businessman who wanted to reopen the mill and use recycled paper to make pulp and paper for export. WestRock officials said earlier this summer they would be open to selling the mill to another mill operator rather than demolishing the equipment. However, two potential buyers apparently were given the cold shoulder. There had been suspicious WestRock, the No. 2-largest papermaking company in the nation, was simply biding its time while its bid to purchase Kapstone Paper and Packing Co. (No. 5 in America) was reviewed. Kapstone also owns a much larger paper mill in Longview, Wash., which is represented by the Association of Western Pulp and Paper Workers, the union that represented the more than 200 workers laid off from the Newberg mill. The AWPPW submitted a complaint this spring to the antitrust division of the U.S. Department of Justice, arguing that WestRock's then-pending sale of the Newberg mill to the scrap dealer indicated it wanted to reduce competition. Ultimately, Wyden wrote his letter about WestRock's behavior. In their letter to Voorhees, the three Democrats state there has been a nationwide recycling crisis and ever since China stopped buying recycled paper from Oregon there had been hope the mill could reopen to handle some of that material. "Massive amounts of recyclable waste are accumulating at facilities around the state and across the country – or being sent to less expensive landfills for disposal, jeopardizing years of environmental progress," the letter reads. 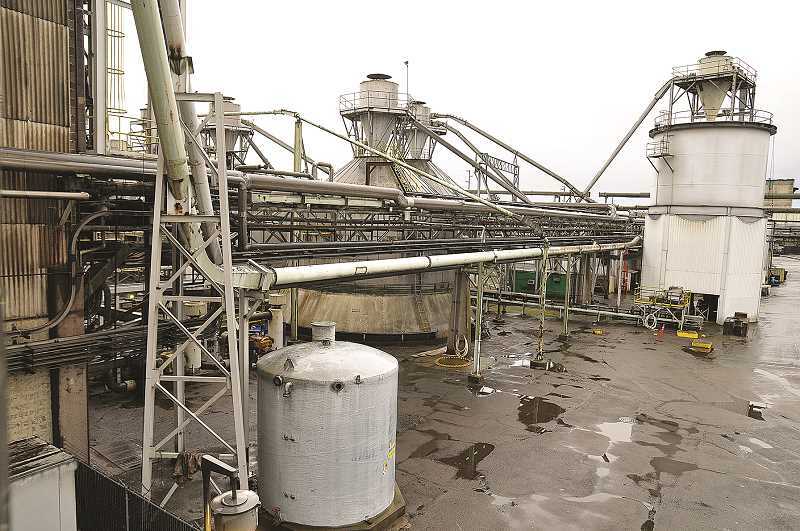 "We believe potential solutions to the crisis in Oregon should include consideration of existing recycling capabilities, which could be harnessed by a buyer possibly interested in modifying and re-opening the Newberg mill." After purchasing the Newberg mill as well as others in Ohio and Georgia in 2015, WestRock had announced the Newberg and Georgia mills would help diversify their products. However, both mills were quickly shuttered and a WestRock memo leaked to the press indicated the company never intended to keep the Newberg mill open. That and other developments over the past nearly three years prompted Bonamici, Brown and Blumenauer to take action. "We understand that WestRock may currently be open to selling to buyers with an interest in re-starting he mill and we encourage ongoing good-faith negotiations, especially in light of evolving conditions in the paper marker and global supply chains," the letter to Voorhees read. Brown, Bonamici and Blumenauer said they can't "ignore the consequences for Oregon communities and a potentially productive mill site sitting idle for an extended period of time," and added a decision on the future of the site "needs to consider the local community's desires being developed through the (city of Newberg's) Riverfront Master Plan process," which looks at a range of uses for the riverfront area. Representatives from WestRock did not respond to a request for comment by press time Tuesday morning. In the letter, the trio of elected officials asked Voorhees how WestRock will continue the engage Newberg as it considers a sale, whether the equipment in the mill has been salvaged for other WestRock operations, what the timeline of a potential sale is, and whether WestRock is considering offers from all potential buyers, including those reluctant to destroy the mills and equipment. "We stand ready to engage with you and other stakeholders to further discuss the future of this site, including through briefings, meetings and updates with staff," the letter states. "We would appreciate the opportunity to have a dialogue with you about this issue and how it affects Oregonians."